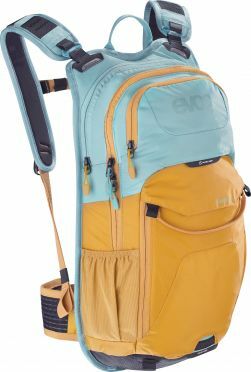 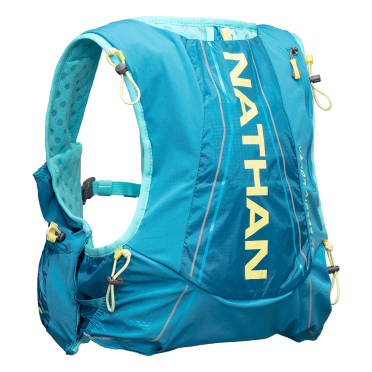 Developed with the demanding specifications and endurance testing of world-class ultra runner, Rob Krar, this new men's-specific, body mapped Nathan VaporKrar Drinking backpack 12L blue men is the ideal companion for those longer adventures and training days where there are no aid stations. 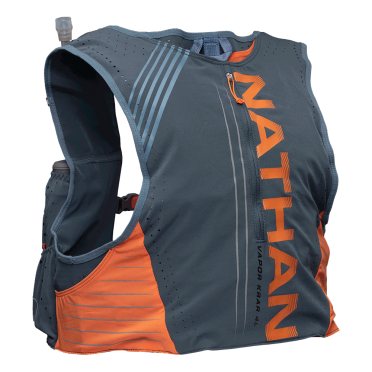 This new lightweight runner’s race vest includes a 1.6L Insulated hydration bladder, with an hourglass design to reduce sloshing. 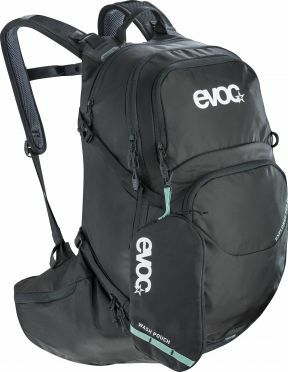 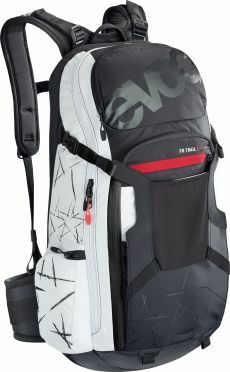 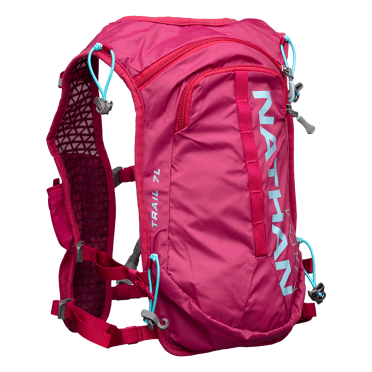 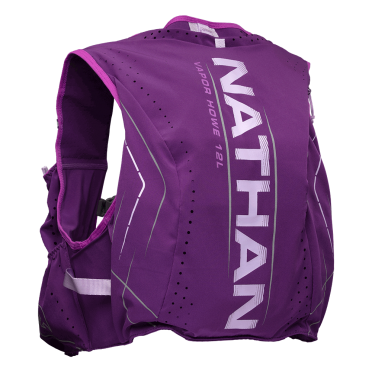 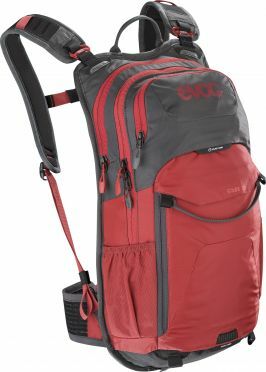 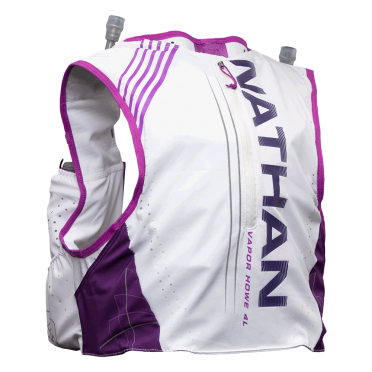 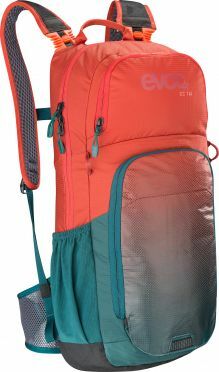 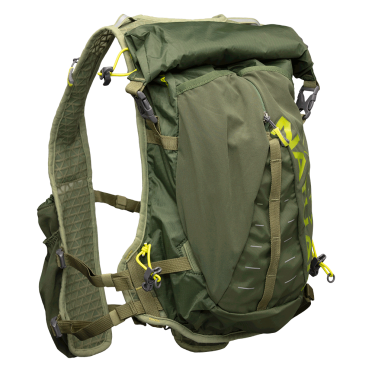 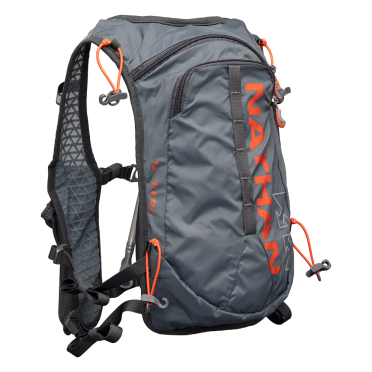 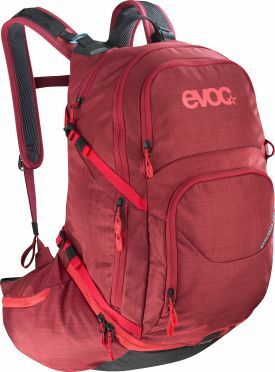 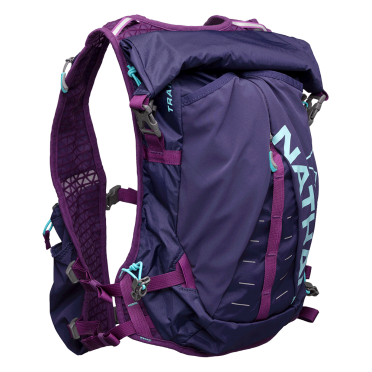 Developed with the demanding specifications and endurance testing of world-class ultra runner, Rob Krar, this new men's-specific, body mapped Nathan VaporKrar2 Drinking backpack 4L slate/firecracker is the ideal companion for those longer adventures and training days where there are no aid stations. 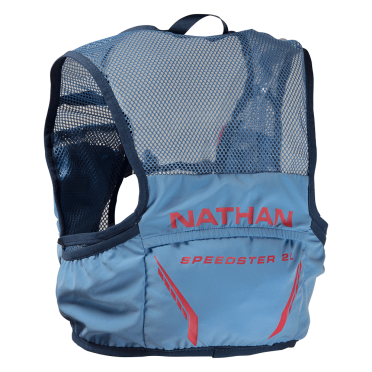 This new lightweight runner’s race vest is equipped with two 530ml soft flasks with extended tubes to easily sip fluids without removing flasks from the front pockets. 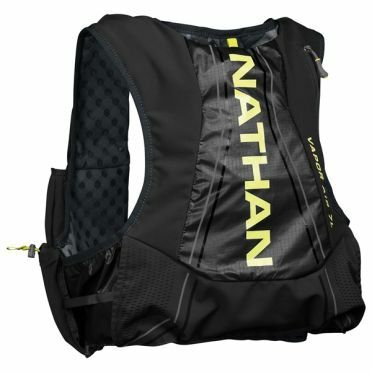 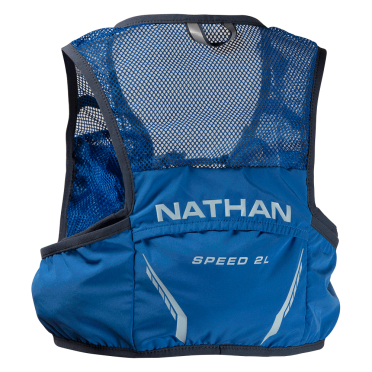 The Nathan VaporAir2 backpack 7L black/yellow men is a lightweight race vest in the Nathan Sports Vapor series lineup. 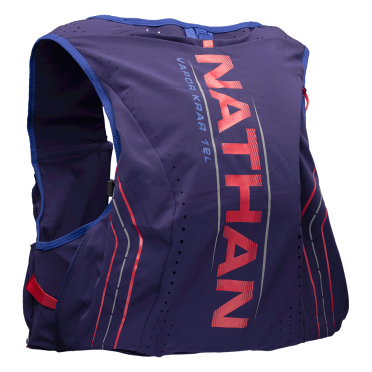 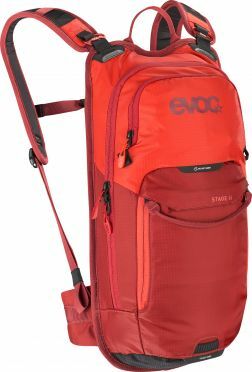 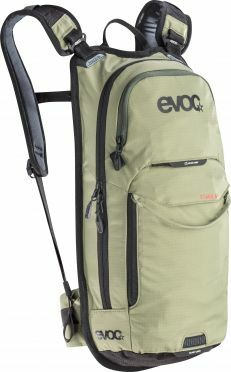 It brings the ideal balance of storage capacity, functionality, and weight to demanding endurance athletes.